A good, mildly-sunny day to you! 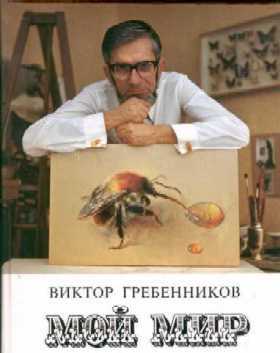 I've become fascinated by the late Russian discover and entomologist, Professor Viktor Grebennikov. For one not inclined towards science, excerpts from his diary and book proved to be utterly compelling around his experiences with his anti-gravitational device. Not least due to his honouring and interaction with the natural world. And evidence of a man who's spiritual values were clearly high priority. And please go to the source below for more of the pics in the original piece. Viktor Stepanovich Grebennikov is a naturalist, a professional entomologist, an artist-simply put, an intellectual with a wide range of interests and pursuits. He is known to many as the discoverer of the Cavernous Structures Effect (CSE). But very few people are familiar with his other discovery, one that also borrows from Nature and its innermost secrets. Back in 1988 he discovered anti-gravitational effects of the chitin shell of certain insects. 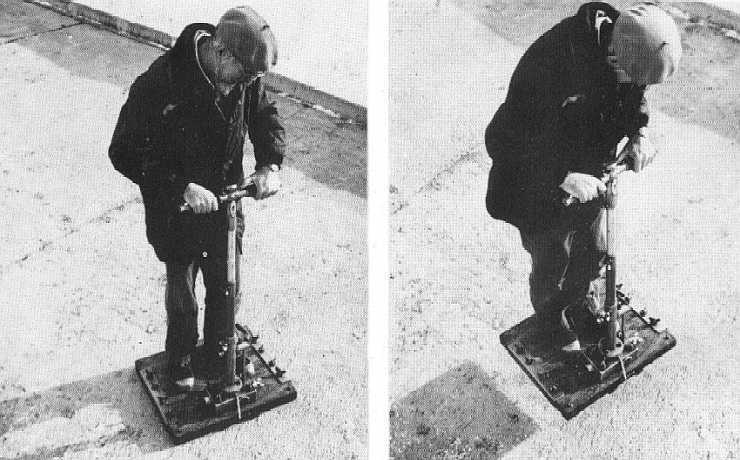 But the most impressive concomitant phenomenon discovered at the same time was that of complete or partial invisibility or of distorted perception of material objects entering the zone of compensated gravity. Based on this discovery, the author used bionic principles to design and build an anti-gravitational platform for dirigible flights at the speed of up to 25 km/min. Since 1991-92 he has used this device for fast transportation. Bio-gravitational effects are a wide spectrum of natural phenomena, apparently not confined to just a few species of insects. There is much empirical data to support the possibility of a lowered weight or complete levitation of material objects as a result of directed psycho-physical human action (psychokinesis)-e. g. levitation of yogi practicing transcendental meditation according to the Maharishi method. There are known cases of mediums levitating during spiritistic sessions. However, it would be a mistake to think that such abilities are only found in people who are gifted by nature. I am convinced that these abilities are an understudied biological regularity. As is known, human weight significantly drops in the state of somnambulistic automatism (sleepwalking). During their nocturnal journeys, 80-90 kg sleepwalkers are able to tread on thin planks, or step on people sleeping next to them without causing the latter any physical discomfort (other than fright). Some clinical cases of non-spasmodic epileptic fits often result in a short-term reversible transformation of personality (people in such state are commonly referred to as "possessed"), whereby a skinny, exhausted girl or a ten-year-old boy acquire the physical prowess of a trained athlete. Currently this psychological phenomenon is known as multiple-personality syndrome because it significantly differs from the classical complex of epileptic symptoms. Such clinical cases are well-known and well-documented. However, phenomena accompanied by a change in the weight of humans or of material objects are not confined to functional pathologies of the organism. Healthy people in the state of acute psychological stress caused by a life-threatening situation or an overpowering motivation to achieve a vitally important goal have the ability to spontaneously overcome obstacles insurmountable in their normal condition-e. g. to lift enormous weights, etc. These phenomena are commonly explained by an extreme mobilization of muscular strength, but precise calculations do not agree with such hypotheses. Apparently, athletes (high jumpers, weightlifters, runners) have particularly developed bio-antigravitational mechanisms. Their athletic performance is mostly (if not wholly) determined not so much by the rigor of their training as by their psychological preparedness. If an accurate scientific task of studying the anomalies of the human weight in various psycho-physiological states were ever set up and technical means of dynamic weight monitoring created, we would then have objective data on this unusual phenomenon. There is also evidence of other phenomena of short-term mass increase in biological objects, including humans, that are not related to mass transfer. V. S. Grebennikov's book has high literary merit and includes the author's own illustrations. It is a kind of a "dactylogram" for his system of spiritual values, his environmental outlook, and his entomological autobiography. Many readers are likely to perceive the book as nothing more than a popularized summary of the entomologist's 60-year experience of scientific observations, peppered with some elements of science fiction. But such a conclusion would be deeply erroneous. As Viktor Stepanovich's friend and as someone with an intimate knowledge of his work (our homes are only 10km apart), I can vouch I have never met a more careful, conscientious, honest, and talented experimental scientist. Grebennikov is also widely known in the so-called scientific underground (i. e. the branch of advanced Russian science constantly persecuted by the official scientific establishment). Thus, a committee for combating pseudoscience, created in Novosibirsk division of the Russian Academy, has victimized many talented members of our local scientific community. The situation is much the same at the Russian Agricultural Academy. It is very easy to lose one's job at a lab (even as its head, regardless of one's degree and title). One only needs to publish an article on, for example, the evolutionary significance of antigravitational mechanisms in insects. But I am convinced that discoveries of such proportions must not be buried in manuscripts just because pragmatism still rules science. Let this book be nothing but "science fiction" for those at the top. Each person has his own beliefs. But he who has eyes shall see. Catastrophism in both the evolution of living nature and in the nature of human knowledge is actually a drastic destruction of old belief systems-a destruction that runs ahead of theoretical prognostications. A fanatical faith and idol-worship links our contemporary academic science with pagan religion. But a harmonious development (in the sense of Pavel Florensky's pneumatosphere) would not be possible without breaking old stereotypes in the process of mastering the wisdom and experience of older generations. But I don't want to seem entirely greedy and will give researchers another Patent of Nature, one also related to Movement and Gravitation. Physicists say that an unsupported mover is impossible. In other words, a device completely isolated from the environment won't fly or drive-a car won't go without outer wheels, a plane won't fly with a covered propeller or engine, neither will a rocket with stopped nozzles. Baron Münchhausen who managed to pull himself up by the hair from a mire is the only exception. Take a dozen and a half papier-machet supermarket egg cases (30-egg variety), tie them up or glue them together (one on top of another) in such a way as to join the "teeth" to one another, not to the hollow spots. You will have large cells, similar to multi-cellular combs of a certain "paper" wasp, except many times larger. Fix the whole set (it can be enclosed in a case) over the head of a person sitting in a chair, with the bottom "comb" is 10-20 cm above the head. Leave the person there for 10-15 min. The "unnatural", unusual transformation of the spatial shape formed by the set can be picked up even by the palm of a hand. Experiment with couching seeds, or breeding microorganisms and insects under a "macrocomb" and compare the results with those of identical experiments conducted at least 2 m away from the comb. Repeat each pair of experiments several times. "Iron comb". in a similar way, test the impact of common kitchen shredders piled up one on top of another, with their wire-edges down, small-hole shredders at the bottom, large-hole ones at the top. Paper emanators of the CSE. Cut apart-longways-5 sheets of office paper and fold each of them accordion-like so as to get 10 edges and 20 surfaces. Squeeze the accordions to make them square and glue them on top of one another, turning each horizontally 30 degrees clockwise against the bottom one. Glue together, preferably out of dark paper, a conical, multi-layered "flower" with a few dozen petals; fluff up the petals. Test the emanators with by putting your palmon above the "flower" and underneath the suspended "accordion". Place them above the head of the sitting person, marking his sensations. Foam plastic. We are used to the fact that this excellent thermal insulator "reflects" the warmth of the hand even at a distance. But even if you cover it with dark paper, cardboard, or a tin plate, it would still do the same. This happens due to the work of multiple vesicular caverns of the material that produce the CSE. Foam rubber. It is widely known that a person used to sleeping on, say, a cotton wool mattress doesn't sleep well at first on a rubber foam one, or else is unable to sleep at all. This is a typical manifestation of the CSE. Later on, the organism adapts itself to this new bed. "Mushroom CSE". A hunter once told me that he warms up his hands in winter on bracket-fungi. Let us recall that the lower horizontal part of this tree fungus is full of fine comb-tubes through which spores fall out in summer. What the hunter felt was not warm but a typical CSE. Make a wooden whipping top and drill several through caverns on its sides, pencil-width in diameter or a bit wider. Their CSE significantly increases if the top is rotated; this is easily perceived by the palm. This is due to the fact that the caverns must be numerically multiplying in space. "Flower CSE". An "unnatural" position of such a seemingly common and pleasant object as a living flower can also change its properties. Put a bunch of several dozen bell-shaped flowers (tulips, narcissuses, lilies, bell-flowers) upside down above the head of a sitting person. To bar the impact of odors, put the flower bunch in a plastic bag. Write to me about the results. Wind-fallen trees. One of my test subjects, a geographer, said to me after experiencing the effect of one of my "grids" that he had once had a similar sensation many years before, when he was passing a wind-fallen section of a forest. His head, ears, mouth, and the entire body felt something particularly unpleasant-the same thing he felt under my grid. This means that the abruptly disrupted shape of the normal multi-cavernous space of the forest for some time emanated waves unpleasant for humans. Before the rain. Place a shower nozzle on a tap and run cold water. Slowly move your hand toward the drops coming from the sides: most people feel "warmth". In reality, this is the CSE reinforced by the movement of ever new elements of the "multi-layered" grid-water drops and gaps between them. After practicing in the bathroom or kitchen, pick up an even stronger CSE from fountains and waterfalls. Even when the atmospheric pressure is high, the shroud of a distant rain creates a powerful CSE field that has its impact on a large area. Have you ever felt sleepy before the rain even in enclosed premises? The CSE cannot be screened. "The CSE of a book". Take a thick, preferably well-read book and place it upright on the edge of a desk with its back facing the direction of the sun (e.g. facing north at night). Open the book and fluff up its pages as evenly as possible. In a few minutes (the CSE does not appear immediately, as it doesn't disappear immediately ether), pick up with your palm, tongue, or back of your head some of the sensations mentioned in this chapter. This "tail", after some practice, can be picked up at a 2-3 meters' distance. It is also easy to verify that the "book CSE" is also non-screenable-ask someone to stand between the hadn and the book. "A large cone" with an artificial comb filling and three magnets at the back. Two cones of this sort, positioned against each other taking into account the position of the sun, were in the morning of April 23, 1991, thrown apart and disfigured. One had been placed in Isilkul, the other near Novosibirsk (the second one was unfolded and pressed into the wall of an underground hiding place; its magnets disappeared). At the same moment, residents of an Omsk apartment experienced a series of strangest "poltergeists" (see Vechernii Omsk for April 26 and Omsk and Moscow TV broadcasts). Because of this coincidence, on August 5, 1991, the same paper called the device in the picture "a Grebennikov's hyperboloid". Actually, one of the "beams" of the upright electronic waves between the two structures may have been formed precisely there, on the Irtysh embankment in Omsk. Tightly insert a dozen plastic household funnels into each other and fix the structure on any support with the nozzles turned toward the sun. Cover the bell end of the top funnel with a net or light blue cloth (so that the tested subjects not anticipate heat). "A small cone". Tightly roll up two unusable rolls of film, tied them up with string or thread and make a bell-shaped cavity in the middle of the top roll. CSE emanations can be easily picked up by the palm, particularly in a counter-solar position. You will get interesting sensations if you press this "microcone" to your forehead. I surrounded my above described device [for registering CSE emanations; a straw indicator suspended on a cobweb thread] with seven funnel-shaped rolls of film [see above]. This experiment is most successful in a sound-insulated chamber, away from wires, pipes, sources of heat, cold, and bright light. There is no miracle here: matter is eternal in its endless movement. A solar ether- and beam radiator. This intricate name was devised by the Leipzig professor Otto Kornschelt who discovered the CSE over 100 years ago and produced devices for its practical application in medicine, agriculture, and technology. Rhythmic caverns were formed in them by cooper chains. The devices were positioned with their backsides facing the sun. It is indeed true that new inventions are simply well-forgotten old ones. The sensations described by Kornschelt are identical to the ones I experienced in my own independent work. I learned about Korschelt's experiments very recently from M. Platten's New Medical Technique, vol. III, St. Petersburg, 1886, where the following drawing of the device is reproduced. "The sieve CSE". In the old days, in several areas headaches and concussion symptoms were treated with an ordinary flour sieve that was held above the head of the patient, net up. Alternatively, the patient squeezed the rim between the teeth, with the net in front of the face. The sieve material is unimportant. The device works better if the patient faces the sun (north at midnight). This type of CSE is also perceivable by healthy people. The CSE and the planets. The planets of our Solar system are situated at certain distances from the sun. The Ticius-Bodet formula for the distance is this: 4 is added to the numbers 3, 6, 12, 36, etc (a geometrical progression), and the resulting number is divided by 10. The cause for this regularity is unknown. The empty spot in this progression (between Mars and Jupiter) is occupied by asteroids. The Kemerovo physicist V. Iu. Kaznev thinks that the regularity is determined by the CSE generated by the sun: the matter of planets was grouped in the areas of the sun's field force concentration. The CSE in daily life. Perceivable waves of matter are emanated by piles of pipes, some caves, underground tunnels, tree crowns; the shape of premises is also significant (round, cornered, cupolaed). The wall and furniture material also emanates a CSE of certain parameters. "Micro-CSE". The CSE effect may be manifested not just in galactic or household scales, but also in micro-world, in substances whose molecules have caverns of certain shapes. For example, in naphthalene. I filled a one-liter jar with it, sealed it, and suspended it from the ceiling. People beneath it felt with their palms a whole system of power field "clots". (more son if the receptacle was suspended above the top of the head). Activated charcoal is also a multi-cavernous structure. Hold 2-3 tablets of such charcoal in your fingers as demonstrated in the picture and for a few minutes move your hands slightly up and down, or parting and joining them. Write to me about the results. I have so far isolated 4 CSE emanators beneficial for humans: bee honeycombs, a grid of joined hands (more about it in the next chapter), a sieve, a phylactery otherwise known as tefelin. What is it? An old device: a tightly sown leather cube attached to a leather platform with two bands. Inside the cube there are four strips of parchment-tightly rolled, bleached, soft kidskin with Talmudic inscriptions. A worshippers attached the device to his forehead, with the axes of parchment rolls perpendicular to the forehead and their outer ends facing East. It turns out, the inscriptions were unimportant; what matters is the material, shape, and dimensions. Made of different materials, the device only causes unpleasant sensations, while a leather tefelin produces a beneficial physiological effect-besides the shape and other factors, the microstructure of the material must have a part in it too. The ancient Egyptian deity Thoth is a god of science, sorcery, and an "accountant" of the dead's earthly deeds. This is the design of his staff: 2- or 3mm copper wire is twisted at the end in the shape of a flat spiral, with 3-4 coils, each 10 cm in diameter'; closer to the handle there are 2 coils of transverse, 3-dimensional spiral, each 5 cm in diameter. The wire is inserted in the 16-cm-long square-sectioned handle of dense wood, 4 cm thick at base and 1.5 cm thick at its end; the entire staff with the wire is 41 cm long. The narrow end of the handle has 13 deep accordion-shaped cuts. The staff works even without the wire (albeit not as strongly); the wire is thin and could be of any material but works best if thickly insulated-two layers increases its effect. If you hold the staff as demonstrated in the picture, the total radiation emanating from the center of the large spiral, perpendicular to its surface, are very well-perceivable by the human palm on both sides. I never found out for what purpose ancient Egyptians used this "double-beam" emanator. Make a pyramid of 3-4 layers of thick, porous wrapping paper: 202x20 cm square base, ascending edges 19cm each. Glue it only at the edges, the tighter the better, but in a thin line. Make a 5-6 cm hole in the middle of one of the side facets. Hold a 10 cm-long piece of drawing coal in your fingers, or simply a pencil, and insert this indicator into the hole, slanting the other end toward the bottom of the pyramid. "Stir" the space inside the pyramid with the indicator, take it out, then repeat the procedure about 30 times. You will soon pick up an active zone-a "clot"-where the Egyptians had their tombs. Another active zone, above the top of the pyramid, is also well-perceived by the indicator if you drag its end over he top. After some practice, the "clot" and the "torch" are well-felt by the finger inserted into he pyramid, or a palm moved above it. The pyramid effect that generated over the centuries many scary, mysterious stories is one of the CSE manifestations. Similar interesting qualities are displayed by pyramids of the same dimensions but only skeletal, without facets-a skeleton glued together of 8 smooth, firm straws. Here we get the effect of the total CSE of the straws with their complex capillary structure and the effect of the entire cavern. Such pyramids can also be made in other sizes, with a proportional increase in the length of the edges. I submit that everyone has this ability. Suspend the described skeletal pyramid by its top from the ceiling on a thin, artificial thread, or better still on a long shred of elastic torn from a stocking. Choose a spot with the lowest convection (air circulation). In a few hours, when the pyramid stops rotating, from a 2-meter distance point at it a "tube" made up of two hands (see picture). In a few minutes (do not lose your "target"), the pyramid will start rotating clockwise under the pressure of this beam of CSE energy. Stop the rotation by moving the "tube" to the right side of the skeleton-it will start rotating counter-clockwise. Conduct experiments of various duration, after various time intervals and at various distance. You will see that telekinesis is no miracle, but only one of the manifestations of the Will of Matter that is available to a chosen few but to everyone. The thing is that the palm is also a multi-cavernous structure that clearly repels the indicator of the straw-cobweb device described in this chapter. By using it and the skeletal pyramid, you can practice and develop your "telekinetic" abilities, significantly increasing them. Fasten a bunch of 30-40 ripe wheat ears, better with short stems, inside a low cone of dark paper-as in the picture. Hand-perceivable emanations repel the straw indicator of the same device through any screens-even sharper than some honeycombs. This effect is produced by multiple wedge-shaped sinuses between ear scales that are directed at an acute angle toward the bottom of the ear. In my youth, I was shown the following: a fragment of a cut stem, the length of a short pencil, was placed on the blade of a scythe, next to its blunt edge; another stem fragment of the same length, placed on the blade in the same manner but at some distance, was pushed by the hand to the first one. At about 8cm, the first stem got moving, "ran away" from the second stem along the rim. Th experiment wasn't always successful; it usually occurred right after the cutting a large amount of grass from the same spot; I forgot some elements or conditions of the experiment. I think the following factors were at work here: an abrupt change of the total CSE field on the "deformed" meadow (let us remember the windfall case), the grid of the reaper's fingers, the multi-cavernous properties of the stem itself, and perhaps its position against the morning sun. Static electricity is excluded as everything at that hour is wet. Identified Flying Objects. A long time ago, in a remote Caucasus village, I was surprised that people walk around the mountains at night, through dense forests. They all had lit cigarettes in their mouths, are all waving their hands, and their cigarette lights for a second disappear behind their bodies.... It turned out those weren't cigarettes, but local fireflies, Luceola mingredica; their light twinkle in this manner. Meanwhile, UFO reports and letters from my readers tell of dark flying saucers that turn out either a flock of birds or a compact swarm of insects . I myself saw in Siberia not just "columns" of insects but also "balls" , 3 or 4 meters in diameter: in one case those were some mosquito-like fliers, in another, winged ants of the Mirmica genus. From afar this swarm could by taken by an ignorant person for a huge, round plasmoid. A detailed description of the CSE effect may be found in my book Mysteries of the World of Insects (Novosibirsk, 1990), in the journals Sibirskii vestnik selskokhoziastvennoi nauki, no.3, 1984, and Pchlovodstvo, no. 12, 1984. The physical nature of CSE is described in Non-periodic Galloping Phenomena in the Environment, vol. III (Tomsk, 1988). All in all I have published over three dozen articles on the CSE. As promised, I will describe the rest in my next book. I will call it as I called this chapter: Flight. NOTE from Jerry Decker : Victor S. Grebennikov died at the age of 74 in April 2001 as reported to KeelyNet in two phone calls to his surviving son Sergei. This all came about from an email from a friend in Russia by the name of Youlain who sent in the URL some two years ago. When I saw the pictures of the platform, especially the one hovering over the ground I thought it was a hoax, but I couldn't stop thinking about it so translated the webpage in sections beginning with the technical descriptions. As correlations began to fall into place, I hesitated reporting it because his writing indicated psychogenic effects associated with these structures, meaning it could be hallucinations, delusions or daydreams perpetrated with jumping into the air while on the platform as what the TMers (Transcendental Meditation) devotees claim as 'flight'. Meanwhile, I had made a 'secret' page on KeelyNet whose URL I mailed out to long time trusted confidants to see what they thought about it since I valued their insights, opinions and knowledge, asking them to keep it on the QT until I heard from the professor direct, if possible. From their responses, new information was added. However, one of these long time confidants who over the years since the BBS days, shared much useful information, had now become infatuated with public attention and so posted the URL and claimed I was 'hiding' information in order to further his newfound career of public speaker and author. Very sad to see this but ego just took him over, so he's gone. In the meantime, Yuri had kindly provided me with the Professors mailing address and I immediately wrote to him in Russian, sending at least 5 packets over the next year of correlated information to him and all translated into Russian. In all that time I received only one letter from the Professor which stated he had suffered a stroke, that he had no degree and had learned what he knew from his experiences in 'gulags' (Russian prison of war) and was paralyzed on one side, having to type this letter with one finger. At the time of his response, he wrote he had received 3 of my letters, indicating in the letter that his son had withheld the ones I sent in February until May before he actually saw them. I asked his son in the phone call why they had not responded with but one letter in the past 2 years and he said the entire family had been ill, especially his father. Early in 2001 I asked Yuri if I flew over there and pre-arranged an interview with Professor Grebennikov, would he serve as translator and he agreed, that was roughly in February. It was only when I called Sergei in July, after the June KeelyNet conference, that I learned Professor Grebennikov was deceased. The Professor had written that he would like me to republish his book in English and so I was trying to get him to sign a copyright release to pursue that project. After his death, the rights would have gone to Sergei, so I asked him if he would be willing to sign such a release for a percentage of book sales and he didn't seem to comprehend the matter over two phone calls and a detailed letter with release form. The calls were made in Russian as translated by my Russian translator Helena. She also wrote and sent the letter with copyright release to which Sergei has not responded as of December 6th, 2001. It takes about two to three weeks for a letter to get from Dallas to his village near Novosibirsk and the same to get back. They don't offer UPS, FedX, or any faster means of snail communication and the Professor was not online, relegated to living on $24.00 US per month in his retirement. That is another reason I was considering publishing his book as his percentage would greatly improve his income level, that is irrelevant now. In the book, of the sections we have in English, he asks only to be recognized by his peers and in the history books as the discoverer of the CSE phenomenon. He has of course refused to reveal the name of the insect and even the genus, it could be a beetle, a butterfly, a bee, a wasp, a locust, a grasshopper, a dung beetle. There are some 1100 species of beetles in Russia. Professor Grebennikov was a great ecologist as you can tell by his protective attitude toward the environment. He was afraid if the name of the insect were revealed, people would rush to the area and kill off all of them. I wrote him in two separate letters that it was not necessary to know the insect name or genus. In order to allow verification, all we needed were TWO of the insect covers which could be analyzed under an electron microscope to determine geometry and dimensions, from that point, it should be possible to duplicate it artificially and the insect would be forever safe. I offered the Professor $1,000 US in cash if he could send me two of the covers (I sent money to pay shipping) AND they exhibited the gravity repelling characteristic he had seen. He indicates the effect was not magnetic, electrostatic or due to stray air currents. He never responded which his son claims was due to illness. At any rate, the entire book is currently being translated and my current plans are to extract technical information and compile it with other information which correlates and supports what the Professor claims. This will be sold through KeelyNet to recover my personal expenditures and to support KeelyNet along with further research, donations are greatly appreciated. There is a lot of weirdness going on with this. I asked Sergei if he could provide a couple of the covers, he said he didn't know what they were or where they came from. I then asked him what happened to his fathers flying platform, he said (in a hesitant and halting fashion) his father had hidden it and he didn't know the location. We have since read an email from a Russian scientist who visited Professor Grebennikov in the hospital and claims he was told firsthand that he had smashed the platform to pieces. Sergei also said many people had been contacting he and his father since the publication of the book some 6-7 years ago, with everyone wanting the secret, but his father had never revealed it. Numerous posts have been made to the KeelyNet Interact discussion list on cavities, nanostructures, arrays, chitin, dielectrics and related subjects for those who are interested in this claim. Additional information has been posted in the Chaos file, the Time Dilation file and in dual presentations (Decker & Davidson) made at the June KeelyNet 2001 conference in Dallas (available on videotape). See also Dan Davidsons' experiments with shape power and Joe Parrs original discovery of energy bubbles in pyramidal structures. Many are involved in this and have widely varying views. At this time, we have no verfiable experimental evidence of the late Professor Grebennikovs wide-ranging and earth-shaking claims. As you can see, they span all branches of science, philosophy and theosophy, shedding quite new and novel views on the nature of gravity, time and paranormal experiences. We will continue to correlate information and try to pin down experiments that can verify various aspects of his claims. He has certainly provided many experiments that seem to rely mostly on human perceptions. We need to find ways to detect these emanations with instrumentation, exactly the same problem we have with Aether/ZPE, we need a kind of attachment for a FLUKE meter and a scope to be able to qualify and QUANTIFY these kinds of energies. I would like to add one further comment, please do not confuse time dilation with time travel. They are not remotely the same. Time dilation simply slows down the local temporal field of an object, kind of like a 'stasis' field on Star Trek so that anything outside this local area moves at the normal speed, while anything inside this field ages at a slower rate. Refer to the Time Dilation file. The Professors' friend and associate is Yuri N. Cherednichenko.